I know not everyone has the kind of money to stay in a hotel like this, but if you do you will be astounded at what an amazing property this is. This hotel is one of the best in North America and is located just 6 blocks from Rodeo Drive and all the best shopping. The rooms are incredibly comfortable with quite possibly the best beds in the world. However this is by far the most dog friendly hotel in Beverly Hills. When you check in if you let them know you are traveling with your dog you will be surprised to find a comfy dog bed, ergonomic dog bowls, a package of dog treats, a special doggy room service menu, and a personalized dog towel with your dogs name monogrammed on it waiting in the room for you. 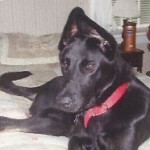 That combined with the fact that all the staff are incredibly dog friendly and accommodating. The bellman will come and take your dog for a walk whenever you wish and you will often see staff petting and playing with dogs in the lobby. 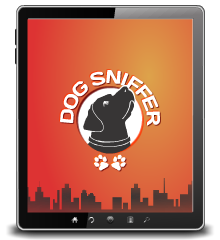 The Concierge can set up dog grooming as well as send someone out to pick up any items you may have forgotten. It just doesn't get any better than this. 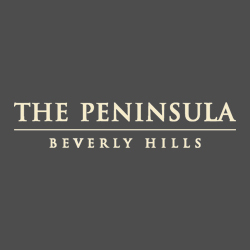 The Peninsula Beverly Hills Hotel is one of the top dog friendly hotels in Beverly Hills. Spoil your dog and yourself by staying at Travel & Leisure's #1 large city hotel for 2013. The Peninsula Beverly Hills Hotel dog policy; Your dog will be treated to a large comfortable bed, food, bowls, A Dog Room Service Menu, & regular walks by the famous Peninsula Page staff for a small nightly fee. The Peninsula is not only the best option for savvy travelers seeking a luxury hotel, but the best Dog Friendly Hotel in Los Angeles.